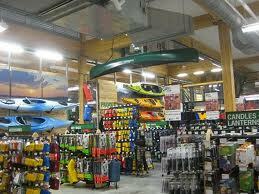 Of course Vancouver has great outdoor gear stores. There is no other city in the world more in tune with the outdoors than Vancouver, and there’s no city with a more accessible and rugged outdoors. Vancouver’s mild weather and majestic natural scenery allow visitors to take advantage of outdoor activities year round. From kayaking to skiing, wind surfing to rock climbing-Vancouver has it all. Although outdoor gear can be purchased at many stores across the city, it is easiest to peruse the countless retailers located around the 100-200 blocks of West Broadway. Offering a range of consignment and top-of-the-line gear, these stores are diverse enough to satisfy both the casual day hiker and professional outdoors person. Of the Broadway stores, the biggest and most famous of these is Mountain Equipment Co-Op. This is probably the place to start if you’re looking for any kind of outdoor gear. Once you have an idea what’s available, take a look at the nearby competition. Each store has its own feel and its own selection so you might want to check out your options before you buy. Known For mountain and road bikers, On the Rivet features quality cycle wear (8 Broadway East, 604-677.0700). Bike Doctor Bicycle Shop (163 Broadway West, 604-873-2453) and La Bicicletta (233 West Broadway, 604-872-2424) offer servicing, rentals, clothing and footwear, as well as road and mountain bicycles. Known Soccer freaks should check out Soccer Cents (103-75 Broadway West, 604- 708-3439) or Soccerwest (102-75 Broadway West, 604-630-0424). Known Outdoor gear and equipment can be found in numerous stores along this area of Broadway, but the largest and most diverse mecca for hikers, bikers, kayakers, and climbers, etc. is the Mountain Equipment Co-op (130 West Broadway, 604-872-7858). MEC requires all customers to be members of the Co-op before purchasing items from the store. Lifetime memberships are approximately $5 and are valid at all MEC locations across Canada.